I won’t deny that I was excited to see what the all the hype was about. There had been talk of the retina display since the iPad 2 was released last year and a lot of people were disappointed that the iPad 2 had not been graced with it. To be honest, I think when Apple releases a new product now, there are just those people who must complain and grumble about what the new product doesn’t have and won’t do. The iPad 2 was what the first generation iPad should have been, in my opinion, and Apple “fixed” that problem by releasing the iPad 2 earlier than they might have. But I digress. My iPad (third generation) arrived later than usual because of where I live. I didn’t completely mind since I did have to work and having the entire morning and early afternoon to get through my main tasks was a blessing because as soon as I saw the UPS van pull up to the house, all productivity ceased until I had used up that initial battery charge. One of the things I had to try out almost immediately was related to complaints we have been getting on the helpdesk for a while now – downloading our books and reading on the iPad. 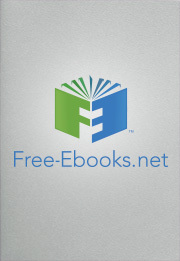 Free-eBooks.net has its own iOS application on the iTunes store, however, at the moment, it is only the version for iPhone and iPod touch that is available. (And as an FYI, we are working hard at getting a universal app approved on the store ASAP). In the meantime, the iPad is perfectly well equipped to read our books in the meantime. Load up http://www.Free-eBooks.net in Safari on your iPad. Enter your username and password in the top right hand corner of the web page, just as if you had logged in on your computer. Navigate to the eBook you would like to download; for our example, let’s use Impulse Control by Susan Bischoff. As a standard member, you are limited to using the PDF and TXT downloads from us. The TXT formats will open in the browser window and requires no further interaction. I am not a fan of this method unless it’s a short read or you are planning to settle in and read it all in one sitting. I much prefer the PDF version, especially on the iPad since Apple’s iBooks will allow you to read PDFs natively and with less heartache than your eInk reader will. Going back to the eBook details page (http://www.free-ebooks.net/ebook/Impulse-Control), click on the PDF icon to start the PDF download to your iPad. In writing this article, I discovered that the downloads don’t always start automatically. In these instances, check near the top left hand corner of the web page, you should see the image with a down arrow and the name of your chosen title to the right with the words “Your download is starting”. Just underneath that, there is some text that directs you to a direct download link that you can click to force the download to start. In this case, our direct download link is http://www.free-ebooks.net/ebook/Impulse-Control/pdf?dl. The PDF will also open in the browser, but you do have the option to open it in another program other than Safari. iBooks, naturally, is the default app of choice from within Safari, but I notice that I can now choose to open a PDF in the Kindle app as well. Actually, it looks pretty good in the Kindle app now that I am looking at it again. The difference between the two apps (Kindle vs iBooks) for this, is really aesthetic – a matter of preference. The Kindle app page navigation for PDFs is slightly more clunky, other than that, there seem to be no huge differences. The one thing to remember is that Safari for iOS does not always complete the automatic download of your eBooks when you choose your format on the eBook detail page. When that happens, just scan that page for that direct link that I mentioned previously.